Paralegal Alexandra Thompson began her legal career as an intern during the summer of 2007. Upon completing her Bachelor of Science in Legal Studies at Roger Williams University, she joined the firm full time. 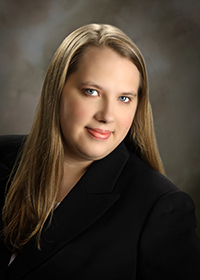 Ms. Thompson works closely with the firm’s lawyers and is involved in all aspects of case preparation. Ms. Thompson has been in the courtroom as part of the trial team for large value jury cases. Her experience includes working on Connecticut Supreme Court and Second Circuit Appeals. She assists with the day-to-day management of client files as well as communication with clients regarding the status of their case. Her experience includes a wide array of cases, including automobile accidents, pedestrian versus car accidents, dog bites and burn cases. Ms. Thompson grew up in Connecticut and has lived or attended school in Hebron and Middletown.